I was searching through antique doll items on Ebay and happened across this antique inspired doll made in 1983 by NIADA artist E. SZUKI. Doll makers of that time making antique inspired and Izannah Walker inspired dolls were Helen Pringle, Edyth O'Neill, Judi Tasch, and Kay Cloud. 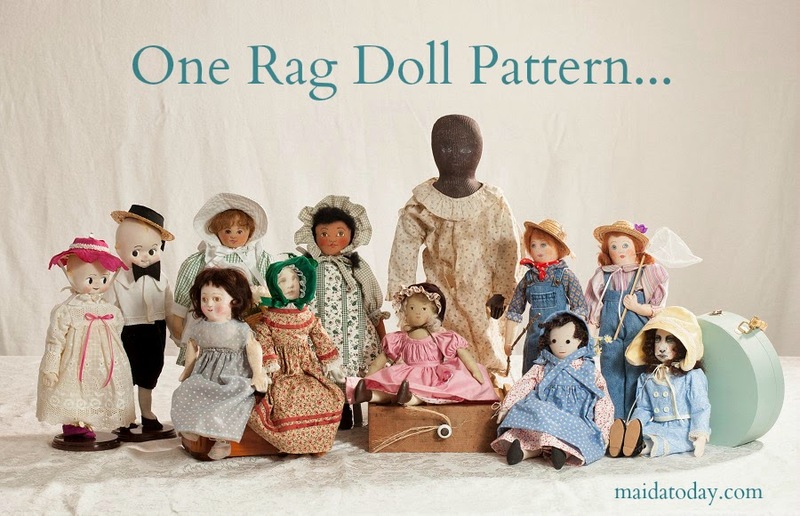 We who make antique inspired folk dolls are part of a large parade of creatives. 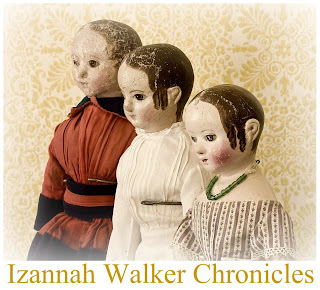 I asked permission to share this doll here for those of you who enjoy Izannah Walker reproduction dolls. You can see visit the auction here for more pictures. She did a beautiful job. I saw this doll on ebay. I looked at her alot. she is a beautiful doll. Well done. she looks more like a real person to me than a doll face doll. No question that her maker was very talented. Sweet expression.